Don’t Settle For the second best. The Cheney Group offers vast market knowledge and leading marketing tools to sell your home faster, for a higher price. 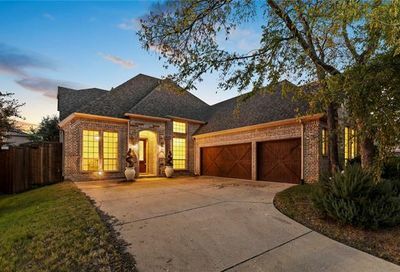 No one listed and sold more homes in Frisco last year than The Cheney Group. Our team of Realtors and support specialists deliver the 5-star service our clients have come to expect, offering unrivaled market experience and community expertise. The Cheney Group was founded in 2003 by Jeff Cheney and his wife, Dana. Our team proudly serves Frisco, McKinney, Allen, Prosper, and surrounding North Texas communities. As active members of our community, we enjoy volunteering and partnering with area charities and organizations. We live here, play here, work here, and most importantly, we serve here. Jeff was elected Mayor of Frisco in 2017 after serving on the city council for 9 years. Jeff is also a CPA and Registered Investment Advisor. He graduated among the top of his class from the University of Texas at Austin with a Bachelors Degree in Business Administration and a Masters Degree in Public Accounting. He began his career at PricewaterhouseCoopers where he was a Senior Associate serving real estate and insurance industries. Jeff then served as a Director of Portfolio Operations for a Dallas-based investment advisory firm where he furthered his knowledge of real estate and asset valuation. Jeff started The Cheney Group in 2003 serving sellers, buyers, and investors. At The Cheney Group, our clients always come first - no matter what. When you choose The Cheney Group for any of your real estate needs, you don’t just get one person - you get an entire team. We will not rest until you have an amazing experience and get exactly what you are looking for. Over the last 15 years, we have built a fabulous reputation that speaks volumes to Mayor Cheney and our team. We strongly believe that success should only be measured through client satisfaction. If you are looking to work with a team, not just one agent, who has your back and will go above and beyond to ensure your needs are met, The Cheney Group is here for you.